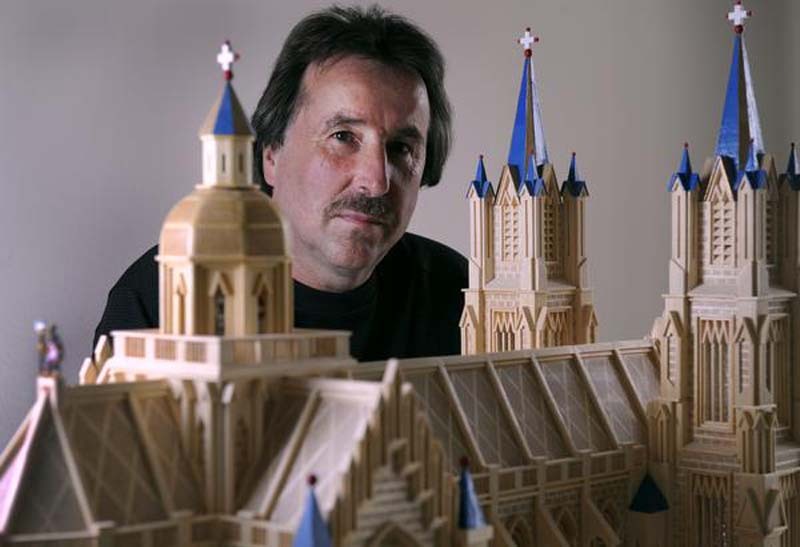 Artist Paul Marti of Englewood, Colorado builds elaborate architectural constructions such as cathedrals and castles using only matchsticks. These intricately designed pieces are not replicas, but rather original artworks conceived by Marti in his head, from their rounded towers and elaborate arches, to their painted stained glass. He solves the construction problems the way an artist does, by envisioning something beautiful first, then executing it. The detail on these is impressive. The “brick” facades are created by stacking cut matchsticks, and even the gravel is made with chopped and painted matches. 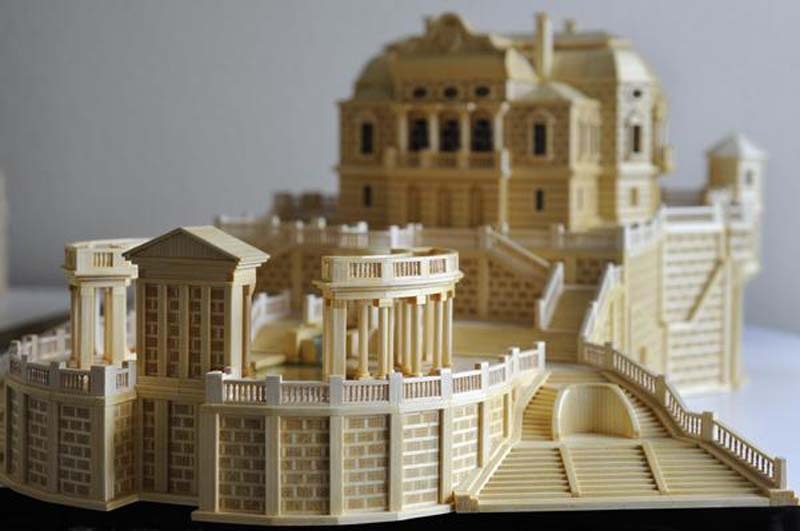 This entry was posted in Architecture, Art, Industrial Design. Bookmark the permalink.